The current edition of The Peace Journalist is now online. 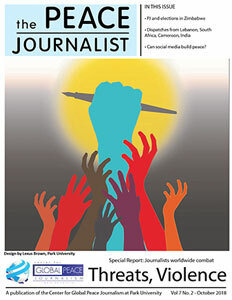 The current edition looks at journalists’ safety and conflict in South Sudan and Cameroon. Click here or below to read. This journal is a must for peacebuilding courses!